Gearwire.com has split its latest crosstalk video, and the part where they demonstrate Blue Cat's Dynamics, Parametr'EQ and Widening Parametr'EQ DirectX and VST plugins in a mixing session is now available as a separate download: get it here! Blue Cat's Dynamics and Parametr'EQ DirectX and VST plugins have been introduced in gearwire.com's latest crosstalk podcast. See our plugins in action and gearwire's comments in their video (the show starts at 23 minutes). 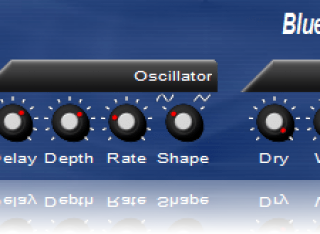 Blue Cat's Dynamics DirectX and VST plugin has been updated. This is a maintenance release. DPMP in Samplitude shows how to use the DP Meter Pro product associated with the Gain Suite VST plugins to perform automated ducking in Samplitude. You can of course apply the same principles with our other Analysis Tools for other automated effects. 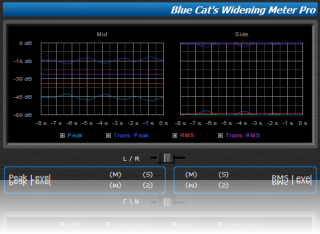 We are happy to announce the release of Blue Cat's Widening Meter Pro, a cousin of the DP Meter Pro product that measures the mid and side channels peak and RMS levels. The related Widening Meter Pro Tutorials will show you how to use the advanced automation and MIDI output capabilities of this plug-in. Don't miss the special introduction price, and if you do not own the DP Meter Pro, check our Analysis Pack which includes both products. We have also added some free skins to download for christmas! Blue Cat's Dynamics and DP Meter Pro have been updated. This new release fixes a bug that caused the MIDI output settings not to be restored properly. The new All Plugins Pack now allows you to purchase all our products in a single bundle: download all products demos in a single zip file and save money! A special price has been setup for christmas, don't miss this special offer! You can now download all our freeware plugins at once: check the Free Pack and download a single zip file containing the latest version of all our freeware plug-ins. Stay up to date and save download time! All Products have been updated. All our plug-ins now support MIDI control and Blue Cat's skinning language 1.2.4. These new versions bring finer control of parameters, performance improvements and improved user interface. Minor bug fixes have been included as well. The change log is available for each product. See our Products page for more information. The upgrade for commercial products is free for registered users and can be downloaded from the same location as the initial release. Note that the special offer for the Dynamics and Parametr'EQ series will be available for two more weeks. Don't miss it! 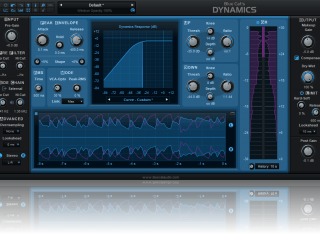 We are happy to announce the release of Blue Cat's Dynamics: after an intense beta testing period, this complete dynamics processor is now ready for you. 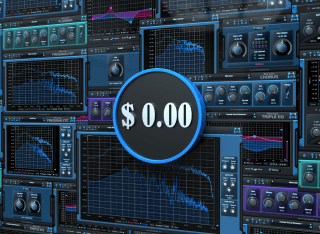 Don't miss the special introduction price and get your compressor/gate/expander/limiter/distortion right now! Check our Tutorials section and learn how to use the advanced MIDI I/O features of this new plug-in. Don't miss our new tutorials! Learn how to perform automated voice-over thanks to the ducking capabilities of the DP Meter Pro associated with the Gain Suite plug-ins. 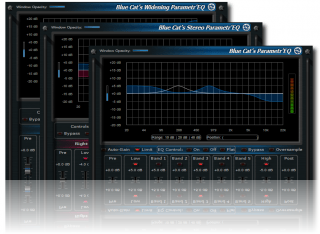 See our to-be-released "Blue Cat's Dynamics" product in action: Side Chain Dynamics, Dynamics Monitoring, Dynamic EQ. A new tutorial for the DP Meter Pro in EnergyXT is available. Check it out here and enjoy this unique tool in this unique host! Blue Cat's Parametr'EQ,Stereo Parametr'EQ and Widening Parametr'EQ 2.0 have been released, with new skinnable user interface, real time MIDI control and much more. Don't miss the special introduction price for these new versions. A special upgrade price is also available for registered users (they will be informed by email). For this occasion a new version of Blue Cat's Skinning Language has been released. Check our new tutorial and create an original stereo wah pedal-like effect within your digital audio workstation: Stereo Wah Pedal. Check our new tutorial and create your own MIDI wah pedal within your digital audio workstation: Wah Pedal. 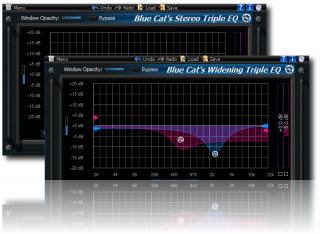 Blue Cat's Triple EQ,Stereo Triple EQ and Widening Triple EQ 2.0 have been released, with real time MIDI control and multiple skins support. Don't miss the special introduction price for these new versions. A special upgrade price is also available for registered users. Check your email! Blue Cat's Chorus,Flanger, DP Meter Pro, Phaser and their stereo versions have been updated. The new releases contain a bug fix and minor UI enhancements. Blue Cat's Phaser and Stereo Phaser 2.0 have been released, with real time MIDI control and multiple skins support. The Phaser is free and the Stereo Phaser can be purchased with a special introduction price. The upgrade for registered users is free! Don't miss our Tutorials to learn how to use the advanced capabilities of these plug-ins. A new tutorial for Sony Vegas can be found here: it will explain you how to activate MIDI-enabled DXi plug-ins that usually do not show up in Sony Vegas. It can help you use the new versions of our plug-ins in Sony Vegas, such as the DP Meter Pro. 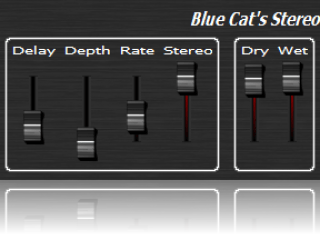 New skins for Blue Cat's Stereo Flanger are now available in the Skins section. You can freely download them here. 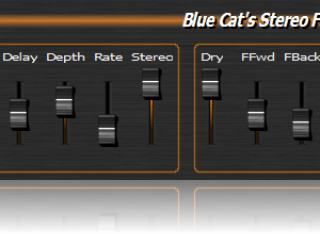 Blue Cat's Flanger and Stereo Flanger 2.0 have been released, with real time MIDI control and multiple skins support. And good news, both are totally free! Have a look at our Tutorials to learn how to use the advanced capabilities of these plug-ins. A new tutorial explaining how to use Blue Cat's DP Meter Pro in Ableton Live has just been released. This is a good opportunity to let you know that anybody sending us a good tutorial ("good" meaning one we accept to publish) about one of our product will be given a free license of his choice for any of our products (bundles excluded). So if you have a storyboard with an interesting tutorial, contact us! 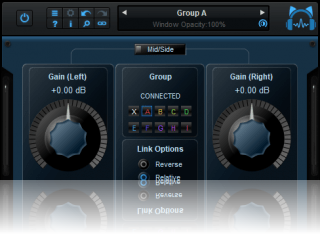 A new skin for Blue Cat's DP Meter Pro has been published in the Skins section. You can download it here for free. 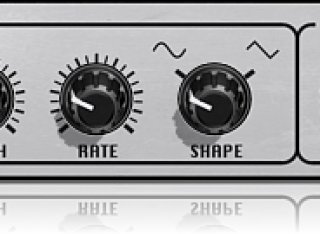 TSV has created a set of new skins for Blue Cat's Widening Triple EQ! You can download them here for free. Thank you 'TSV' for this new contribution! Two new skins for Blue Cat's DP Meter Pro have been released. You can download them here for free. Please take a few minutes to check our latest tutorial about how to use the DPMP2 real time in Steinberg Cubase. 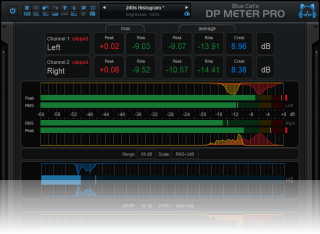 Blue Cat's DP Meter Pro 2.1 has been released. It fixes a small bug that caused some hosts to see the plug-in with no MIDI output. Blue Cat's DP Meter Pro 2.0 has been released. It has been re-built from scratch, and now includes a bunch of new unique features: you can now use it real time to monitor or control any MIDI-controllable software or hardware device! Do not miss our introduction price, and save 30%! Registered customers will be able to upgrade for 12 EUR only! Two new tutorials have been added to the Tutorials section to show you how to use the unique capabilities of this plug-in. Enjoy Blue Cat's Chorus and Stereo Chorus 3.0 real time MIDI control and multiple skins support for free! These freewares have been updated and are available for download. Do not forget to check our Tutorials to learn how to use the advanced capabilities of these plug-ins. Blue Cat's Music Software has become Blue Cat Audio and is proud to welcome you on its new website! This is a new beginning for us, with more means to develop new Products and provide the best Consulting. We have added a new Tutorials section to help you in your daily audio life, and you will find a bunch of non-audio but exciting stuff in the new Goodies section. Enjoy! There is a lot more to come very soon, so keep connected! Special thanks to the talented Anders Kisling who designed the new web graphics and logo. 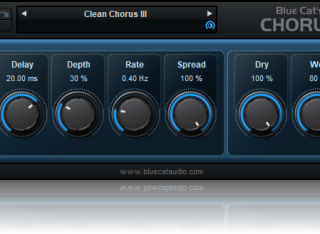 Blue Cat's Stereo Chorus 3 beta 2 is out! You can now precisely edit the parameters, reverse the MIDI controller response curve for free!. This plugin supports the new version (1.2.1) of our skinning language. The final release is very close, please continue to send us feedback! Blue Cat's DXi Manager has been released! 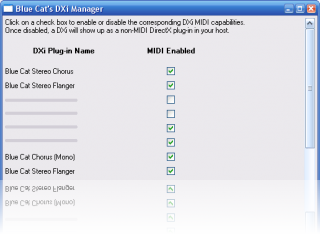 This little freeware tool will help you to have your DXi plug-ins supported by all DirectX applications, even older applications that do not support the DXi MIDI capabilities. Check it out, it's free! 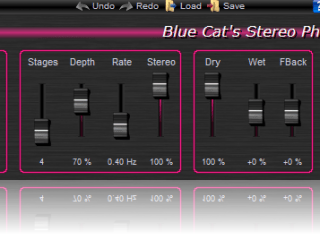 Blue Cat's Stereo Chorus 2.9 beta is out! Enjoy the new MIDI functionalities, the multiple skins support and the new skinning language version 1.2 for free! As usual we will be happy to have your feedback in order to release the final version. 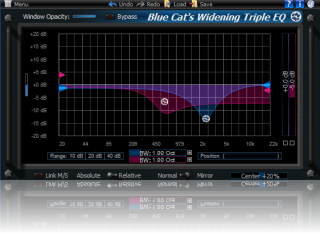 TSV has created a new skin for Blue Cat's Widening Triple EQ! You can download it here for free. Thank you 'TSV' for your this new contribution! 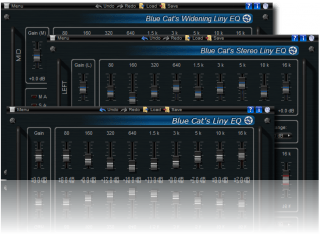 Blue Cat's Liny EQ, Stereo Liny EQ and Widening Liny EQ have been updated to v2.0! They now support Blue Cat's Skinning Language 1.1, and a few bugs have been fixed. The upgrade is free for registered users (check your email! ), and a special price is available for a limited duration. Blue Cat's Triple EQ, Stereo Triple EQ and Widening Triple EQ demos have been modified: the bypass time is now only 3 seconds every 20 seconds. You now have more time to enjoy! 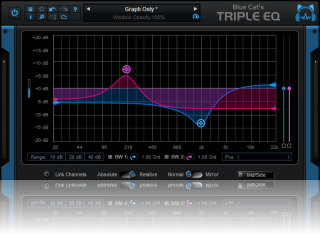 Blue Cat's Triple EQ, Stereo Triple EQ and Widening Triple EQ are out! Check these new easy to use 3 bands advanced equalizers. Their user interfaces benefit from the new Blue Cat's Skinning Language 1.1. As usual you can get all of them in a single bundle or separately: pay only for what you need. But don't miss the special introductory price, it won't last forever! Blue Cat's Skinning language has been updated to V1.1 to support the new Triple EQ products. Check the Skins page to discover the new functionalities! Meet the Cat at the 120th AES Convention that will take place in Paris this week! We will be present on the expo, so just send us an email if you wish to meet. Two new skins for Blue Cat's Chorus! You can download them here for free. Thank you 'TSV' for your contribution. 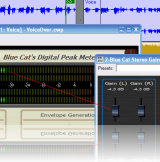 Blue Cat's Stereo Chorus version 2 has been released. You can now skin this plug-in and enjoy the free skins available on this website. Best of all, it's still freeware! A new skin for Blue Cat's Chorus! A fan of the www.audiofanzine.com website has posted a new skin: you can download it here for free. Thank you 'Audiofanzine Fan' for your contribution. Blue Cat's Chorus version 2 (final) has been released. Thanks again to all customers who have sent their feedback. We have started to fill the skins database with a few skins that you can download here. Enjoy them and learn how to create your own ones! We'll be happy to publish them on this web site. Blue Cat's Chorus version 2 beta 2 has been released. A few bugs have been fixed, thanks to your active feedback. Thank you! You can now download this new version. The final version should be released soon if no other issue is found. Blue Cat's Chorus version 2 beta and its new skin engine for the GUI have been released! You can now skin the Cat and share your skins on this website. Best of all, it's still 100% freeware! We are waiting for your feedback on the Forum to release the final version. Try the power of Blue Cat's skinning language with our tutorial and share your skins with the community! 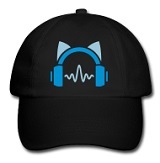 Blue Cat Audio is proud to welcome you on its new website! Check the special new year Discounts we have added for you at this occasion! Last months have been very busy here, and this website has been designed in order to host the new products that are about to be released. Keep connected! Looking for older news? Please consult the 2004-05 News page.